Know anything about bargain dual sim phones? Just put a GSM sim or two sims, and you are on your way to dual sim unlocked mobile phone freedom! BLU R1 is an affordable and powerful choice! CAUTION! The recent article below explained the smart phone, “R1 HD”, discussed in this post was affected. Please do follow the page below for more information. When I checked mine, my “Wireless Update” had been already updated to version 5.4.0.3.004 which was NOT affected with the security concern. It’s better to be safe than sorry! 1 What is a dual sim phone? 2 What is BLU R1? 3 How much more affordable is BLU R1? 4 Why and when do you need a dual sim phone? 4.3 Separate Voice/Data on one phone! 5 Who would need a dual sim phone, BLU R1? 6 Which dual sim phones are available? 7 How do you verify if BLU R1 is for you? The dual sim phone is a mobile phone like iPhone or Android phone that can take two sim cards. They are usually GSM based. In fact, 4G LTE you hear these days (oh, that’s the fast data connection on your phone) is based on GSM. Since 3 or so years ago, my kids have been traveling internationally due to research internships, student exchange programs, etc., and I have been looking for ways to “better communicate with them” in case there is a strong need for it. 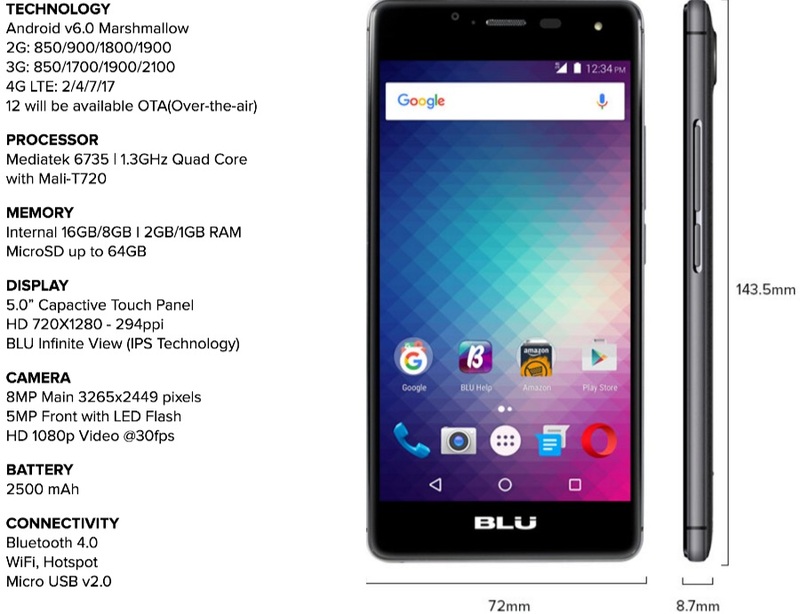 BLU R1 is a recently introduced “Amazon” branded unlocked GSM dual sim phone that is reasonably priced starting at $49 for 1GB RAM model and $59 for 2GB RAM model. Personally, the $10 difference for the 2GB is well worth the performance of the phone. This pricing is a steal and currently for paid Amazon prime member only. Keep reading for details below. Since this is Amazon branded, it has some Amazon advertisement that shows up while on the lock screen. I have found this NOT to be intrusive, and I actually don’t mind it all. Furthermore, in the U.S. market, there are few options with dual sim unlocked mobile phones. These are usually more widely available in international versions of the phones. BLU is one of the few dual sim unlocked cell phone providers in the U.S. In fact, most BLU phones are dual sim. How much more affordable is BLU R1? Why and when do you need a dual sim phone? You may ask, “Why and when would I need a dual sim unlocked mobile phone?”. Here are some cases that a dual sim unlocked mobile phone is helpful. You go to an international travel. Most other countries in the world use GSM technologies, and having a dual sim mobile phone can allow you to have a U.S. sim as well as a foreign sim on the same phone. You basically have two phone numbers in the same phone and possibly two data sources. If you do get a dual sim GSM mobile phone and you know which country you might be traveling to in the near future, you must make sure that the country or countries you are traveling to does in fact support your dual sim mobile phone’s frequency. I have spent a lot of time looking for this information, and this is the one stop information you need on all you want to know about the world wide cell phone signal frequencies. Most phones that advertise as GSM quad band (900/1800/1900/850 Mhz) would work ok world wide based on this map. The only few exceptions are Korea and Japan. For these, you may need a phone that can also cover 3G 2100 frequency. If you go to these countries, you should ask if your phone will support the frequency. 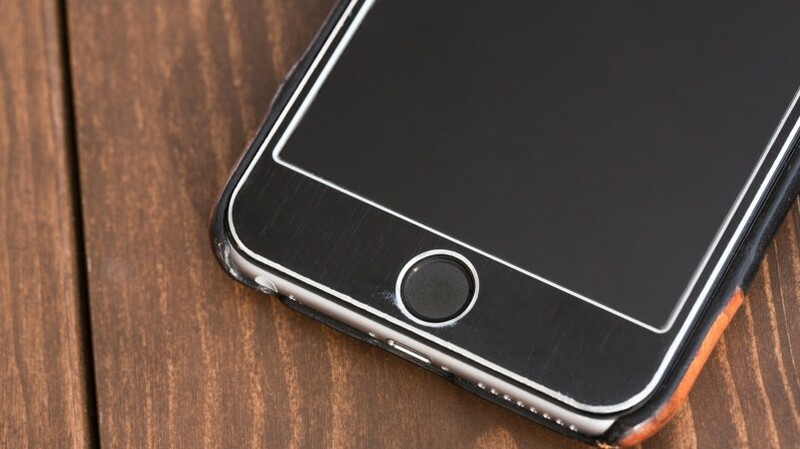 In all cases, you must make sure the phone is also “unlocked“. For instance, if you have an AT&T GSM phone, it is tied to AT&T. If you take it internationally to other countries, unless you have unlocked your AT&T phone, it won’t work. There are variety of methods based on vendors to unlock the phone. Luckily, many dual sim mobile phones are usually already unlocked since it assumes you will use it internationally, and locked phones are just too troublesome to deal with. 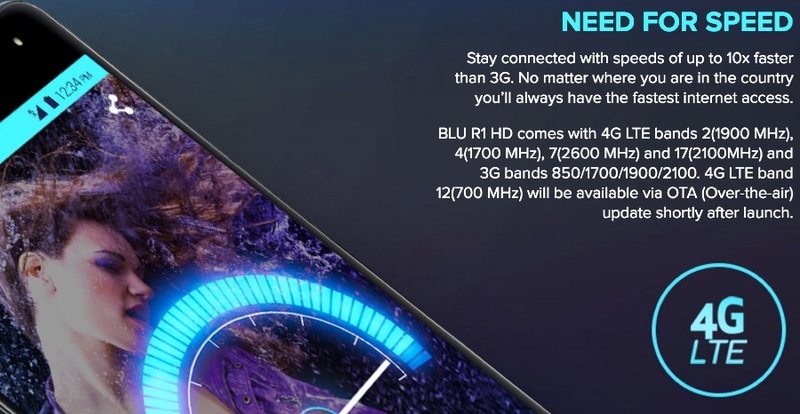 BLU R1 introduced here is already unlocked. If you use a FreedomPop Global GSM sim, you can get two of them and keep them on the same phone. You can then change to the other sim when one sim runs out of data. If you plan nicely, then you can get something like 1.4GB data FREE with two FreedomPop Global GSM sims. You may want to check out these my past article. Separate Voice/Data on one phone! Primary number on one sim and data on another sim: You may decide to keep your primary number on a lower cost, yet reliable provider like H2O (this is an AT&T MVNO) or Tmobile MVNO. For data, you may use T-Mobile, or other data only sim. You could also use the above FreedomPop Global GSM sim. The point is that you may not use the primary line often these days as you are mostly on wireless, and you can usually get by to communicate with others on data using Skype, Google Voice/Hangouts, Viber, etc. You have realized by now that you can in fact use the dual sim mobile phone in the U.S. like how you may be currently using your iPhone or Android phone. Who would need a dual sim phone, BLU R1? This BLU R1 can be your daily driver. It performs pretty well for the price. It can handle all your social needs including email, SNS, web browsing and possibly some gaming. It has a camera and SD card slot. Above all, the screen is pretty beautiful! Again, the price starts at $49, and $59 for 2GB RAM model is a steal. I actually bought an unlocked phone almost 3 years ago when my daughter went to South Korea for her summer research work. The phone was $60 and it had only 512MB RAM. Now with the same price, you get 2GB RAM!! Which dual sim phones are available? In addition to BLU R1, many vendors have dual sim versions. In the U.S., these models may NOT be sold, and they may be only available as international models. Samsung and others do have dual sim models available if you are so inclided. 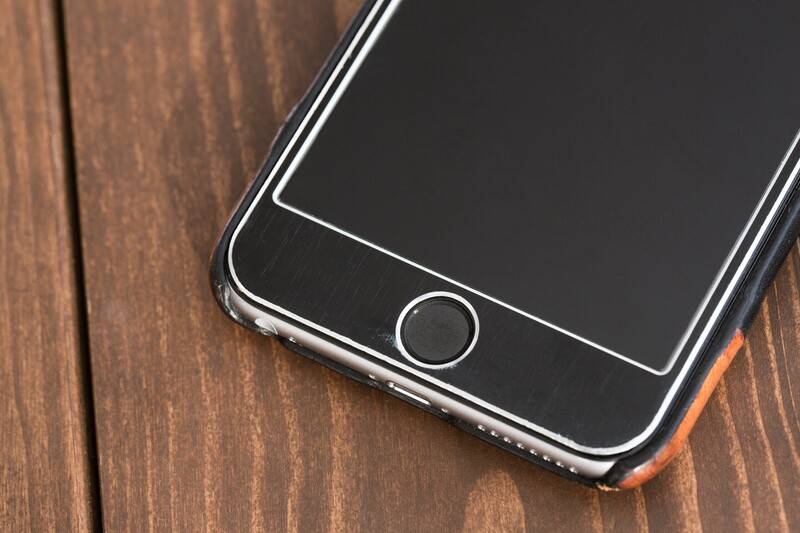 These are obviously much more expensive, but iPhones are as expensive…. So it’s up to you to decide which dual sim phones you want. 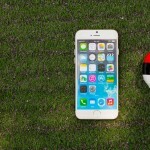 The unlocked U.S. GSM iPhones are in fact world phone that can support world wide usage though it has only one sim. Swapping sim is an easy task, just use a paper clip to take out the sim tray and swap sims and reinsert. iPhone doesn’t even require a reboot, it just takes a bit to recognize the sim has changed. You just have to be careful not to drop and lose the sim card as it is rather small and delicate to handle, especially in the airplane once you land in a foreign country. How do you verify if BLU R1 is for you? You have to check by yourself what others have said about this phone. The Amazon rating shows 4.2 starts out of 5 with over 1700 reviews and 1000+ questions answered. It is currently tagged as “#1 Best Seller”. That can’t be just a gimmick, can it? I have had this BLU R1 phone for the last two months, and the first one I received actually had some issues. I had issues switching the sim 1 to sim 2 which I believe was a software issue rather than a hardware issue. I asked Amazon to send a replacement, and I had a replacement one in a week. If you have any issues within 30 days, you can ask Amazon to replace it for you. Amazon support is undeniably superior. By the way, have you heard of Amazon Prime? I am currently a member and I love it. I order enough to get free 2 day shipping on most items and I use other Prime Video, Prime Music and Prime Photo services. There is a 30 day FREE trial if you would like to check things out. 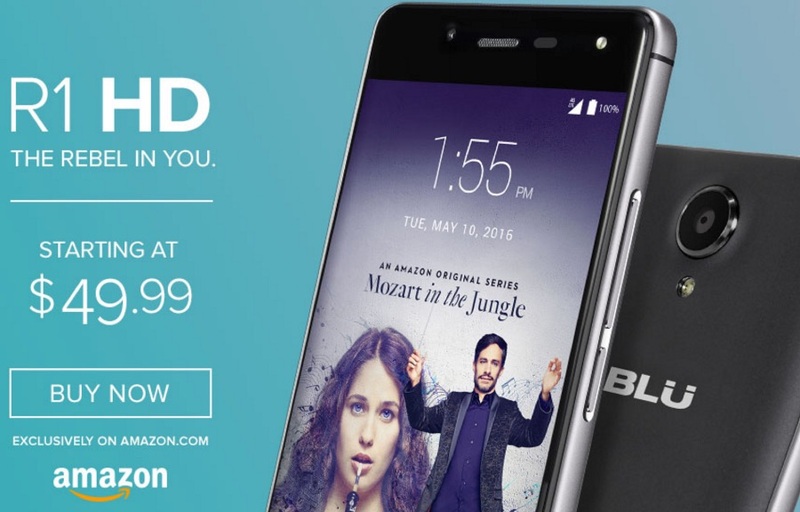 Once you try the Amazon Prime for 30 days, and you get to see BLU R1, you may see the price of $109. If you like to be a paid Amazon Prime member, then you get $50 Amazon gift card credit. That makes the final price to be $59 for the 2GB RAM model, and that basically pays for the 50% of the Amazon Prime membership! If you are already a paid Amazon Prime member, the price of $59 should appear. 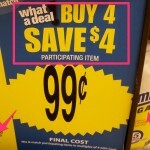 That’s no brainer to purchase! I mentioned I order enough from Amazon. I have some secrets to tell about it. It’s like how to get items for FREE from Amazon. That article will be coming up soon. So stay tuned! Dual sim phones are phones that can take two GSM sim cards. Dual sim phones can be used internationally or domestically. BLU R1 is a great entry level dual sim phone. There are other dual sim phones available, but may be more costly. Amazon has a superior service on what they sell. If you are still thinking about it, I suggest you try BLU R1 especially if you are about to get a phone for your kids or if you need to replace yours. I have been happy with it, and I think I will “keep” it! You can check out BLU R1 here!